Breakin News India 360: HAT-TRICK FOR SAMUEL BADREE! Samuel Badree became 12th man to take a hat-trick in the IPL by dismissd three wicket in a row against the Mumbai Indians. Samuel Badree became the 12th man to take Hat-trick in the IPL by dismissed Parthiv Patel, Mictchel McClenaghan and Rohit Sharma in a row in 3rd over of the Mumbai innings against Mumbai Indians in match NO. 12th of this season IPL which is in progress in Bangalore now. This is the Samuel's debut match in IPL 2017 and he is rewarded the confidance shown in him by Virat Kohli. 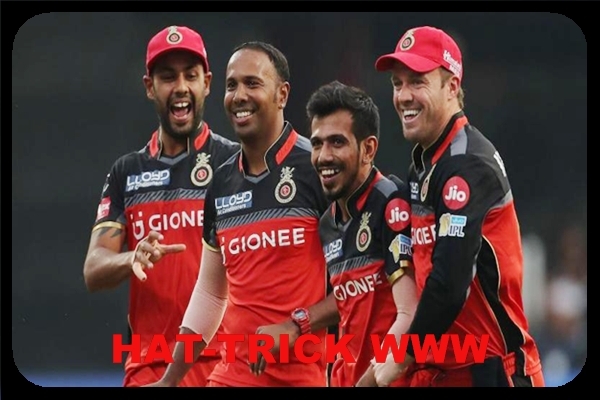 Samuel Badree is also become Highest wicket in debut match for Bangalore team iun IPL. He finished his spell with Nitish Rana wicket, who is in form batsman for Mumbai, his bowling figure is 4overs 4wickets for 9 runs.